Jeb Stuart Magruder was born in New York City on 5th November, 1934. He was named by his father who was an American Civil War enthusiast who was a great admirer of General Jeb Stuart. Magruder went to Curtis High School in Staten Island, where he was a good competitive swimmer. He went on to Williams College in Massachusetts, but interrupted his time there to serve in the United States Army in Korea. After leaving the army he worked for a time at IBM and then Crown Zellerbach in San Francisco. Later he joined the management consultancy Booz Allen. From 1962 he worked for the grocery chain Jewell. In 1964 Jeb Stuart Magruder worked briefly for the Republican Party presidential candidate Barry Goldwater. Two years later he helped Donald Rumsfeld run successfully for Congress. In 1966 Jeb Stuart Magruder moved back to California for a well-paid job at Broadway Stores. In 1968 he worked for Richard Nixon during his presidential campaign and the following year he was appointed to the White House staff as Special Assistant to the President. Magruder worked under H. R. Haldeman. 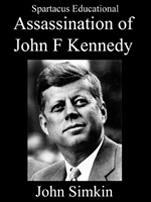 He later recalled in his autobiography, The Ends of Power (1978): "At the White House... I had found him eager but unreliable. Under constant pressure from me to produce, he would furnish massive memos designed to please the President's ever present urge to mount a P.R. initiative to kickback at his enemies in the outside world. But on closer inspection, they generally turned out to be flights of fantasy without much possibility of Magruder carrying them out." Jeb Stuart Magruder was involved in the recruitment of Jack Caulfield: "Jack was about forty, a chunky Irishman who'd started his career as a policeman in New York, but won a promotion to detective and specialized in terrorist organizations. During the 1960 Presidential campaign he helped guard candidate Nixon when he was in New York, and he held a temporary security job with the 1968 campaign, one that led Ehrlichman to hire him, in April of 1969, to be a special investigator on the White House staff. Caulfield's office was next to Lyn Nofziger's office in the Executive Office Building and I'd see him there from time to time. He was always very hush-hush about his work, but he seemed to be particularly active during antiwar demonstrations, so I assumed he was investigating antiwar leaders and other of our political opponents.... Caulfield explained that he hoped to start a private-investigation firm - codenamed Sand Wedge - that could do work for both CRP and the Republican National Committee, as well as for corporate clients. The firm would provide both security services and covert intelligence-gathering, Caulfield said. John Dean added that both Mitchell and Haldeman were interested in Sand Wedge. The plan had an extra boost in that one of Caulfield's partners was to be Joe Woods, the former sheriff of Cook County, who was Rose Mary Woods's brother." In 1971 H. R. Haldeman suggested that Jeb Stuart Magruder went to work for the Committee to Re-elect the President (CREEP) as assistant to former Attorney General John N. Mitchell. "President Nixon clearly recognized his need for effective public relations, and constantly pushed me to get something going. I had brought Magruder into the White House specifically to help fill this need. When the Committee to Re-elect the President was first being staffed, I saw a chance to reassign him to a position that was less demanding and better suited to him. At the No. 2 post of C.R.P., he simply would be following the orders of a strong leader, John Mitchell, who would be moving, over from Attorney General to Campaign Chairman." The following year Gordon Liddy also joined CREEP. Liddy presented John N. Mitchell, with an action plan called Operation Gemstone. Liddy wanted a $1 million budget to carry out a series of black ops activities against Nixon's political enemies. Mitchell decided that the budget for Operation Gemstone was too large. Instead he gave him $250,000 to launch a scaled-down version of the plan. On 20th March, 1972, Jeb Stuart Magruder attended a meeting with Mitchell and Liddy. During the meeting the men discussed Liddy's proposal to bug the telephone of the chairman of the national Democratic Party, Larry O'Brien. Jeb Stuart Magruder later claimed that John Dean was at these meetings: "Once again Dean joined us, and once again we had an inconclusive talk with Mitchell. Liddy had not specified the targets for wiretapping, but in discussion we agreed that priority should go to Larry O'Brien's office at the Democratic National Committee in the Watergate complex, to O'Brien's hotel suite in Miami Beach during the Democratic Convention, and to the campaign headquarters of whoever became the Democratic nominee for President. O'Brien had emerged in the past year as the Democrats' most effective spokesman and critic of our Administration." Magruder was concerned about this suggestion and phoned H. R. Haldeman about it. 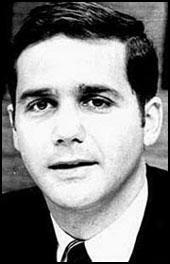 Haldeman confirmed that Richard Nixon wanted the operation carried out. Liddy now went ahead with placing electronic devices in the Democratic Party campaign offices in an apartment block called Watergate. Liddy wanted to wiretap the conversations of O'Brien. This was not successful and on 3rd July, 1972, Frank Sturgis, Virgilio Gonzalez, Eugenio Martinez, Bernard L. Barker and James W. McCord returned to O'Brien's office. However, this time they were caught by the police. Jeb Stuart Magruder was also involved in dealing with George Wallace: "The Alabama governor was a constant concern to us. If he ran in 1972, would the third-party split help us or hurt us? The equation was a complex one, but the consensus was that he would hurt us, and there were constant discussions and plans on how to keep him out of the race, ranging from preempting him with go-slow school integration policies to our putting several hundred thousand dollars into the campaign of the man who ran against Wallace for governor in 1970. The ongoing White House concern about Wallace was reflected in a constant stream of memos from Haldeman asking us for up-to-the-minute reports on how many state primaries Wallace would be able to enter." In 1972 Richard Nixon was once again selected as the Republican presidential candidate. On 7th November, Nixon easily won the the election with 61 per cent of the popular vote. Magruder went on to manage Nixon's inauguration in January, 1973, as Inaugural Director. Nixon was concerned about J being involved in the scandal. In his Memoirs (1978) he talked about a meeting he had with John Ehrlichman: "On Saturday afternoon, July 8, Ehrlichman and I went for a walk on the beach. It was a beautiful California day, and we could see the surfers bobbing on their boards in the water far down the coast. As we walked along the conversation turned to Magruder. I told John Ehrlichman in a long walk on the beach that under the circumstances the question is whether Magruder is going to be better off in the event that he anticipates what will happen and voluntarily indicates what his role was and takes responsibility for the action, or whether he will face the fact that he will be questioned on such matters and then be forced at a later time to resign. I strongly urged the first course in his own interests." Magruder also began cooperating with federal prosecutors. On May 21, 1974, Magruder was sentenced by Judge John J. Sirica to 4 months to 10 years for his role in the failed Watergate burglary and subsequent cover up. However, he only served seven months of the sentence before being released. 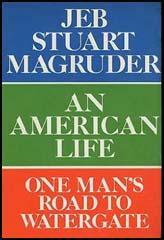 In 1974, Jeb Stuart Magruder published An American Life: One Man's Road to Watergate. The book was criticised for not completely explaining his role in the Watergate Scandal. A book about his religious beliefs, From Power to Peace, was published in 1976. Magruder "Somewhere between my ambition and my ideals I lost my ethical compass." After studying for a Masters Degree in Divinity from the Princeton Theological Seminary he was ordained as a Presbyterian minister in 1981. He served as associate minister at the First Presbyterian Church in Burlingame, California and First Community Church of Columbus, Ohio, and in 1990 became senior pastor at the First Presbyterian Church of Lexington, Kentucky. In July, 2003, Magruder admitted for the first time that Richard Nixon gave the orders for the Watergate break-in on 20th March, 1972. As Godfrey Hodgson pointed out: "Later there was considerable controversy about how much Nixon knew of the dirty tricks plans and Magruder contradicted himself several times. In 2003 he went back on his early statements that Nixon knew nothing by stating that Nixon had telephoned during one of these meetings, was briefed about the plans by Mitchell and had approved them, though others denied this." Magruder did receive support for this view from John Dean. However, he was criticized by others for not providing this information during his trial in 1974. Jeb Stuart Magruder died on 11th May, 2014. Jeb Magruder, a 38-year-old public relations specialist, was 'our man at the Committee to Reelect the President'. At the White House, where he previously had been employed, I had found him eager but unreliable. Under constant pressure from me to produce, he would furnish massive memos designed to please the President's ever present urge to mount a P.R. initiative to kickback at his enemies in the outside world. But on closer inspection, they generally turned out to be flights of fantasy without much possibility of Magruder carrying them out. President Nixon clearly recognized his need for effective public relations, and constantly pushed me to get something going. I had brought Magruder into the White House specifically to help fill this need. When the Committee to Re-elect the President was first being staffed, I saw a chance to reassign him to a position that was less demanding and better suited to him. At the No. 2 post of C.R.P., he simply would be following the orders of a strong leader, John Mitchell, who would be moving, over from Attorney General to Campaign Chairman. Once again Dean joined us, and once again we had an inconclusive talk with Mitchell. Liddy had not specified the targets for wiretapping, but in discussion we agreed that priority should go to Larry O'Brien's office at the Democratic National Committee in the Watergate complex, to O'Brien's hotel suite in Miami Beach during the Democratic Convention, and to the campaign headquarters of whoever became the Democratic nominee for President. O'Brien had emerged in the past year as the Democrats' most effective spokesman and critic of our Administration. Liddy still wanted to use call girls in Washington, but the others of us were skeptical and discouraged that plan. We agreed that we should have the capacity to break up hostile demonstrations, and that we needed agents who could get us information on possible disruptions at our convention. Mitchell was still concerned about the plan's price tag and told Liddy he should cut back on his costs, then we could discuss the plan again. Mitchell, during the discussion, told Liddy that he had information that a Las Vegas newspaper publisher, Hank Greenspun, had some documents in his office that would be politically damaging to Senator Muskie. Mitchell said he would like very much to know whether these documents could be obtained. Liddy beamed and said he'd check out the situation. So the second meeting ended with Liddy's plan still dangling. None of us was quite comfortable with it, yet all of us felt that some sort of intelligence-gathering program was needed. We knew the daily pressures from the White House for political intelligence, and I think we had a sense that this was how the game was played. During the discussion of wiretapping and break-ins, John Dean had said: "I think it is inappropriate for this to be discussed with the Attorney General. I think that in the future Gordon should discuss his plans with Jeb, then Jeb can pass them on to the Attorney General." Fred LaRue, who was about six years my senior and became one of my closest friends in Washington, was an introverted, soft-spoken Mississippian whose life had been haunted by tragedy. Fred's father, Ike LaRue, was an oil man and a cousin of the Texas oil millionaire Sid Richardson. Ike LaRue was sent to prison in Texas for banking violations, and upon his release started over in the oil business in Mississippi. In 1954 he and his sons, Fred and Ike Jr., struck oil in the Bolton field, twenty miles from Jackson, and made a fortune. Then, three years later, in 1957, during a duck hunting trip in Canada, Fred LaRue accidentally shot and killed his father. LaRue continued in the oil business, and also became a behind-the-scenes power in Mississippi politics. He had ties to both parties, for although a Republican he was close to Democratic Senator James Eastland. In 1964 he was a major contributor to the Goldwater campaign, and in 1967 he became an early and substantial contributor to the Nixon cause. In the process he became a close friend of John Mitchell's. When Nixon became President, LaRue moved into an office in the White House. He had no title and was paid no salary, but Mitchell and other top figures consulted him on political affairs, particularly with regard to southern politics. LaRue had neither the desire nor the talent for an out-front role. He was homely, had extremely poor eyesight, and was not a good public speaker. His talents were for a backstage role. Because he was likable, sincere, and politically astute, he was excellent at dealing with people and in negotiating internal problems, such as the disputes we at CRP had with the Republican National Committee over its campaign role. "Liddy, what the hell was McCord doing inside the Watergate?" I demanded. "You were supposed to keep this operation removed from us. Have you lost your mind?" "I had to have somebody on the inside to handle the electronics," Liddy said. "McCord was the only one I could get. You didn't give me enough time." I couldn't believe it - Liddy was blaming his fiasco on me. But there was no point in arguing with Liddy, so I calmed down and asked him to give me all the facts he had. He explained that the four men arrested with McCord were Cuban "freedom fighters" whom Howard Hunt had recruited in Miami. He said all five men had given false names when arrested, but we had to assume that their true identities would be discovered. "But don't worry," Liddy told me. "My men will never talk." I didn't know what to tell Liddy. The situation was beyond my comprehension. I only knew that McCord's arrest was a disaster, because he was CRP's security chief; the Cubans might not even know whom they had been working for, but McCord would be very hard to explain away. "I've got to talk to Mitchell," I told Liddy. "Stay by the phone. We'll get back to you." Jack Caulfield was about forty, a chunky Irishman who'd started his career as a policeman in New York, but won a promotion to detective and specialized in "terrorist organizations." During the 1960 Presidential campaign he helped guard candidate Nixon when he was in New York, and he held a temporary security job with the 1968 campaign, one that led Ehrlichman to hire him, in April of 1969, to be a special investigator on the White House staff. Caulfield's office was next to Lyn Nofziger's office in the Executive Office Building and I'd see him there from time to time. He was always very hush-hush about his work, but he seemed to be particularly active during antiwar demonstrations, so I assumed he was investigating antiwar leaders and other of our political opponents. Dean, Caulfield, and I had lunch at the White House Mess. Caulfield explained that he hoped to start a private-investigation firm-codenamed Sand Wedge - that could do work for both CRP and the Republican National Committee, as well as for corporate clients. The firm would provide both security services and covert intelligence-gathering, Caulfield said. John Dean added that both Mitchell and Haldeman were interested in Sand Wedge. The plan had an extra boost in that one of Caulfield's partners was to be Joe Woods, the former sheriff of Cook County, who was Rose Mary Woods's brother. I told Dean and Caulfield that they should get back in touch with me if they got Caulfield's firm started. CRP had adequate security, but I felt we needed a professional intelligence-gathering operation, and if Mitchell and the White House wanted Caulfield, he was fine with me. However, Dean called me in early November and told me to forget Sand Wedge. "It fell through," he said. "Jack couldn't put it together." I've tried, throughout this book, to suggest some of the personal and political factors that led to Watergate. In summary, I think there were three major causes. First, the fact that over the past third of a century too much power has accumulated in the White House. There are too many people working there who are not confirmed by the Senate and are not responsible to anyone but the President. In recent months I have seen this view expressed in several articles. I can only add that I have observed the Imperial Presidency up close, as a member of the royal court, and while life there is pleasant, it is also unreal. People with vast power at their disposal get cut off from reality, and their power is inevitably misused. One Administration will have its Watergate, another its Vietnam. Clearly, there is a need for the Congress, the courts, the media, and the general public, each in its own way, to work to lessen both the power and the aura of divine right that now surround our President. I agree with Professor Philip Kurland, who wrote in the Wall Street Journal, "It was exactly when the White House became what it is now, a fourth branch of government, that we started down the road to Watergate." I think the second cause of Watergate was the peculiar nature of Richard Nixon, a man of enormous talents and enormous weaknesses. Without question, Nixon had the potential to be the greatest conservative political leader of his time; he knew his goals and he had the skills required to achieve them. Yet he had a fatal flaw, too, an inability to tolerate criticism, an instinct to overreact in political combat. I don't know which came first, the liberals' loathing of Nixon or Nixon's loathing of the liberals, but the passions fed on one another, grew more and more bitter, until once he achieved the Presidency, Nixon could not resist the urge to use his awesome powers to "get" his enemies. A President sets the tone for his Administration. If President Nixon had said, "I want each of you to do his job, to obey the laws, and not to worry about our critics," there would have been no Watergate. Instead, the President's insecurities, aggravated by the constant opposition of the media, liberal politicians, and the antiwar activists, led to an atmosphere in the White House that could create the plumbers, the enemies lists, and Watergate. Finally, Watergate happened because some of us who served the President served him poorly. It is not enough to blame the atmosphere he created. No one forced me or the others to break the law. Instead, as I have tried to show, we ignored our better judgment out of a combination of ambition, loyalty, and partisan passion. We could have objected to what was happening or resigned in protest. Instead, we convinced ourselves that wrong was right, and plunged ahead. There is no way to justify burglary, wiretapping, perjury, and all the other elements of the cover-up. In my own case, I think I was guilty of a tremendous insensitivity to the basic tenets of democracy. I and others rationalized illegal actions on the grounds of "politics as usual" or "intelligence gathering" or "national security." We were completely wrong, and only when we have admitted that and paid the public price of our mistakes can we expect the public at large to have much faith in our government or our political system. The first mention I recall of Jeb Magruder's possible involvement in the Watergate break-in came while I was in California, when Ehrlichman told me that Magruder was going to be questioned in the investigation. Magruder had been brought into the White House by Haldeman in 1969 and was considered one of Haldeman's protégés, and it would be a personal blow to Haldeman if Magruder were drawn into the Watergate web. I dictated in my diary that night, "Haldeman is naturally "very tender," as Ehrlichman pointed out, with regard to Magruder. I feel just as deeply about it as he does." Magruder had left the White House staff in May 1971 to help set up the CRP, where he was assigned to handle the managerial details for Mitchell. Magruder had been Liddy's immediate superior and had been responsible for authorizing money for him. Ehrlichman thought that Magruder might have to take the Fifth Amendment because even if the prosecutors could not establish any direct involvement in the planning and execution of the bugging, his relationship to Liddy was such that they might be able to draw him in as part of a conspiracy. On Saturday afternoon, July 8, Ehrlichman and I went for a walk on the beach. It was a beautiful California day, and we could see the surfers bobbing on their boards in the water far down the coast. As we walked along the conversation turned to Magruder. I told John Ehrlichman in a long walk on the beach that under the circumstances the question is whether Magruder is going to be better off in the event that he anticipates what will happen and voluntarily indicates what his role was and takes responsibility for the action, or whether he will face the fact that he will be questioned on such matters and then be forced at a later time to resign. I strongly urged the first course in his own interests. Ehrlichman reflected on Gray's phone call and suggested that Gray and Walters might have failed to cooperate in limiting the FBI investigation because they felt that someone on the White House staff-perhaps Colson was responsible for Watergate and was trying to put me on the spot in order to protect himself. Not knowing that in fact there was no White House involvement, Ehrlichman said, Gray and Walters probably thought that they were serving my interests by insisting on a wide-ranging investigation. We discussed the subject of clemency. Watergate was a political shenanigan, and Magruder, Hunt, Liddy, and the five defendants were apparently first offenders. Three years earlier the NBC television producer caught illegally bugging the Democrats had been let off with a light fine and a suspended sentence. The political climate that was being built up around Watergate made it unlikely that there would be such evenhanded treatment for anyone involved in the DNC bugging. On January 23, the only witnesses from the Nixon committee were scheduled to testify: Jeb Magruder, Bart Porter, Rob Odle and Hugh Sloan. Woodward went to listen, and spotted Magruder pacing the corridors. The tall, 38-year-old former merchandiser of cosmetics, facial tissues and women's hosiery had an American flag in the lapel of his conservative suit. Magruder looked at his watch and approached Silbert. "Earl," he said, "how much longer do I have to wait?" Silbert smiled deferentially and said something about courts not being run to meet the schedules of witnesses. Magruder was exasperated. At that point, Gordon Liddy walked past him and saluted, a big grin on his face. Reporters in the hallway laughed. Magruder became angrier and turned and walked back down the hall. Woodward decided that it was time to meet Magruder. He went up and introduced himself. Magruder was friendlier than he had expected. "I only have one objection to what you and that fellow Bernstein did. That is these visits you paid some of my people at night, banging on their doors late and not identifying yourselves." Woodward said that he Bernstein had always identified themselves and were always courteous. "Dirty reporting," Magruder said. "Now, it may not have been you, but Bernstein did. I know." Always the politician, Woodward thought: Magruder was not willing to confront him, but passed it off on Bernstein, who wasn't there. Woodward said that visiting people after working hours was not dirty at all and was necessitated by the unwillingness of Magruder and of other people to answer questions about Watergate. Magruder turned to walk away and den looked back to Woodward. "It's none of your business," he said, summarizing CRP's point of view. Silbert put Magruder through 33 minutes of tame, respectful questioning. Magruder testified that, as John Mitchell's first assistant, he was so busy supervising 25 campaign division heads and 250 full-time employees and spending between $30 and $35 million that he just couldn't be overly concerned with Gordon Liddy. Magruder said he didn't even get along with Liddy. Liddy had a different management style. Magruder said it as if a disagreement over management styles was the most serious thing that could ever come between two people, though Liddy had once threatened to kill him. Liddy sat rocking back and forth in his chair while Magruder spoke. President Richard Nixon personally ordered the Watergate break-in of the Democratic party headquarters, according to a senior aide who was jailed for his part in the affair. Hitherto it has been assumed that the president took part only in covering up the break-in organised by other members of his team in 1972. Jeb Magruder, who was jailed for seven months for his part in the break-in, now claims, in a television documentary to be shown in the US this week, that Nixon was involved from the beginning. Mr Magruder, now a Presbyterian minister, says he was with the attorney general, the late John Mitchell, on March 30 1972 and heard the president give instructions on the telephone to go ahead with the break-in. It took place on June 17 1972. He says he heard Nixon's voice say: "John ... we need to get the information on (the Democratic party chairman) Larry O'Brien, and the only way we can do that is through Liddy's plan. And you need to do that." Mr Magruder says he could not hear every word but he "heard the import". Jeb Magruder: I had about 25 decision papers because Mitchell had been so sort of off track with these other issues. So we meet in the morning, and we go through the first 24, and they're typical campaign decisions about polling, advertising. Whatever. Gwen Ifill: It was Thursday, March 30, 1972 attorney general Mitchell attorney general Mitchell, head of the campaign to reelect the president, met with his deputy Magruder. Magruder had put Gordon Liddy's proposal to bug the telephone of the chairman of the national Democratic Party, Larry O'Brien, at the end of their agenda. Jeb Magruder: We didn't like the idea, it was going into Watergate Democratic National Committee headquarters and bugging Larry O'Brien's phone. So Mitchell said call Haldeman, find out do we really have to, is this really important -- so I called Haldeman and he talks to me, and I say, you know, we're not sure it's worth doing. And Haldeman said yes, the president wants it done. He said is John there? I said yes, and I give the phone to John, and Haldeman talks to him. And then the president comes on the line and talks to Mitchell. I could hear the president talking to him, and it was simply, you know, John, we need to get the information on Larry O'Brien, the only way we can do that is through Lee's plan, and you need to do that. Nixon was saying we want Libby to break into the Watergate. Mitchell gets off the phone, and says to me, he says, well, Jeb, tell Maurice to give Libby $250,000 and let's see what happens. Gwen Ifill: For his role in the Watergate scandal, Jeb Magruder spent seven months in prison for perjury and obstruction of justice. He is joined tonight by Sam Dash, who served as chief counsel of the Senate Watergate Committee. He now teaches law at Georgetown University Law School. Jeb Magruder, it's been 30 years. Why are we hearing of this now? Jeb Magruder: Well, it was not something that I did in a meaningful way. I had retired from full-time work in December. And had moved back to Columbus, Ohio, and began to do some writing. So I was thinking about some of these things when PBS called me and asked me to participate in this two-hour special documentary Watergate plus 30 in the shadow of history. And during that period of time when I talked with them both on the phone and then when I went to Washington, the subject came up and I talked about it because it was what happened. Gwen Ifill: But surely in all the years that have passed since the events that you talk about in this, you've been approached by other people, you've cooperated with the BBC documentary, countless books have been written, and somehow it never came up that you heard this phone call? Jeb Magruder: Well, I was really never asked in a specific way - certainly not during my testimony at the Watergate trials. To the best of my recollection, I wasn't asked that either at the Senate Watergate hearing, but I really need to go back and look at that testimony. I didn't have it at home. So I wasn't really able to review that. But it was a question of loyalty; it was a question of survival. I was hoping, as we all were, to get either executive clemency or a pardon. And it took about a year and a half, two years later for all of us to find out that that was not going to happen. By that time I had gone through Princeton Seminary and became a minister, and I really made a decision to separate the past as much as I could. That would not have been my parishioners certainly didn't want to spend time just dealing with Watergate. Gwen Ifill: There's been so much discussion about what President Nixon really knew, how directly he was involved in the event surrounding Watergate and the break in particular. Do you think that what you now know what you're sharing with us, solves a puzzle? Jeb Magruder: Well, I think it does. In the sense that, and I've talked to john dean as an example, and both of us agree that there were other cases. There was the Ellsburg break in, there was President Nixon on the tapes talking about potential break ins at the Brookings Institutes. So this was a pattern of behavior that followed us, followed me certainly from the White House over to the committee to reelect the president. Gwen Ifill: And why do you think anybody would believe you now? Why is it that after all this time the prosecutors who put together this case in the Senate and the House, they say they had briefed you extensively, why would they believe you now? Jeb Magruder: Well, it really doesn't matter to me whether they believe me or whatever else is true. I know what the truth is, and I'm telling the truth. That's all. Gwen Ifill: Sam Dash, you were obviously there, this is information which may have been useful to the work you were doing at the time. What is your reaction to this? Sam Dash: Well, I'm not surprised with what Mr. Magruder is saying now. For the past 30 years, I have been telling the public that I've always believed that Richard Nixon was on top of everything and ordered it. As a matter of fact, the evidence was very clear. The meeting that really set out the Watergate break-in was a meeting in Attorney General Mitchell's office in which John Dean attended, Jeb Magruder attended, and Liddy had a show and tell with an easel and cardboards and was explaining everything. That meeting could never have been held without Richard Nixon's approval. His counsel would never have been there. And John Dean testified at our hearings that he told Haldeman about the meeting that they were planning to do this. And Haldeman, as chief of staff, always reported to the president. So I'm not surprised, it really isn't new information. Gwen Ifill: Someone having directly heard the president's voice. Sam Dash: Well, I would liked to have Magruder to have told me that when we were questioning him, and our questioning was thorough. It's a long time ago, it's hard to recall specifically everything that happened. But I don't believe it's really very significant. I think too much time is being spent on that, because we've always known that there isn't anybody who was involved with the investigation, whether it was the special prosecutor's office, Mr. Coster's office or my office as chief counsel to the Senate Watergate Committee, who ever doubted that Richard Nixon was a hands on criminal in this case. After a rather mediocre career in corporate business and on the fringes of Republican politics, Jeb Magruder, who has died aged 79, found himself in high office in Richard Nixon's White House and a major figure in the Watergate scandal. As with many Nixon associates, his cleverness was not in doubt: but an ethical upbringing in mid-century corporate America had not taught him what to do when the temptation to cheat was on offer. Magruder made a number of contradictory statements about his own, and in particular, the president's knowledge of the "dirty tricks" campaign plans. Several decades after the scandal that led to the president's resignation in August 1974, he claimed that Nixon had not merely covered up his involvement in the burglary at the Democratic party headquarters in the Watergate complex in Washington, but had personally authorised the break-in. Although Magruder had fallen out with colleagues in the Nixon campaign in California in 1968 and was turned down when he first applied for a job in the White House after Nixon's election, once in he was promoted rapidly. He made himself useful to the "Berlin Wall" of HR Haldeman and John Ehrlichman, Nixon's two top political aides, and was given increasingly sensitive jobs. He was deputy director of communications in the White House, then briefly, and bizarrely, put in charge of policy planning at the State Department. In 1971 he became director of Creep, the committee to re-elect the president, the operation in which many of the illegal or dubious activities later collectively known as Watergate were hatched. On 7 January and again on 4 February 1972, Magruder sat in on meetings with John Dean, the president's White House counsel, and John Mitchell, the attorney general and manager of the re-election campaign, to discuss the wild ideas which the aide Gordon Liddy was putting forward for ensuring Nixon's re-election. These included luring Democratic officials to be photographed cavorting with prostitutes and kidnapping opponents and abducting them to Mexico. The more extreme ideas were rejected, but plans for the burglary at the Democratic offices did go ahead. Magruder was also present at a meeting in Key Biscayne, Florida, with Mitchell and another Republican official, Fred LaRue, at which plans for illegal activities were also said to have been discussed. Later there was considerable controversy about how much Nixon knew of the dirty tricks plans and Magruder contradicted himself several times. In 2003 he went back on his early statements that Nixon knew nothing by stating that Nixon had telephoned during one of these meetings, was briefed about the plans by Mitchell and had approved them, though others denied this. To most Americans, Mr. Magruder was a little-known White House communications adviser and the deputy director of Nixon’s re-election campaign when, in January 1973, his name came up during the trial of five men accused of burglarizing the Democratic offices. Their intent, prosecutors said, was to bug the phone of Lawrence F. O’Brien Jr., the party chairman. Two other White House aides, G. Gordon Liddy and E. Howard Hunt, were also being tried, as conspirators, accused of organizing the break-in. In later testimony, Mr. Magruder denied giving the burglars any assignment concerning the Democratic headquarters. When that was shown to be a lie, he was convicted of perjury and given a 10-month to four-year prison term. The suggestion that a top campaign official had directly ordered the break-in gave momentum to the investigations in Congress that would finally prompt Nixon to resign on Aug. 9, 1974. In return for a lighter sentence, Mr. Magruder helped the investigations into others who had been involved. But not until 2003, in interviews with PBS and The Associated Press, did Mr. Magruder drop his bombshell: that he had heard Nixon personally authorize the break-in. Mr. Magruder recalled that on March 30, 1972, in Key Biscayne, Fla., he raised the possibility of bugging Mr. O’Brien’s phone — an idea that had already been discussed — in a conversation with John N. Mitchell, a former attorney general under Nixon who was Nixon’s 1972 campaign chief. He and Mr. Mitchell were uncomfortable with the idea, Mr. Magruder told PBS, so Mr. Mitchell suggested that he immediately call H. R. Haldeman, the White House chief of staff, to ask him whether to go ahead with the plan. He made the telephone call in Mr. Mitchell’s presence, he said.